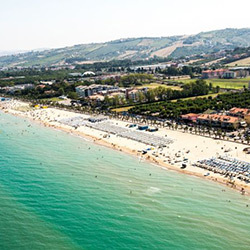 The Abruzzo, the “Green Region of Europe”, is the right destination for an intense holidays, thanks to its territory, that goes form the beach to the mountains in just few kilometers. 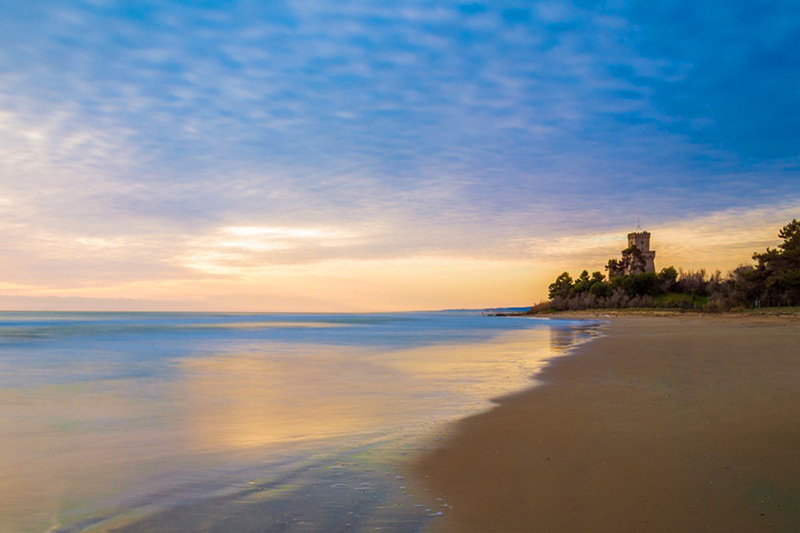 The coast has wide and sandy beaches and a well finished promenade, while the mounty areas are dominated by the Gran Sasso and are the most suitable place for biking, naturalistic walkings and where to practice a lot of sports both in summer and in winter. A lot are the protected areas and natural reserves: the Abruzzo, Latium and Molise National Park, the Cerrano Marine Area, the Gran Sasso and Monti della Laga Park. 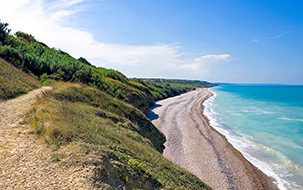 In these areas the nature is enchanting. 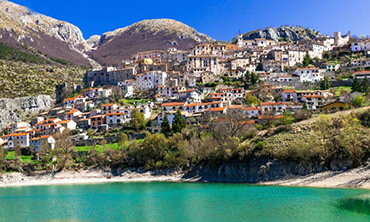 The Abruzzo is the Region where live the wolf, the roe deers and, and, above all, the brown bear. There are also a lot of villages, abbeys, castles, hermitages and sanctuaries. Close to Tortoreto there is Civitella del Tronto, whose Fortress dated back to the Bourbon and is a unique place. 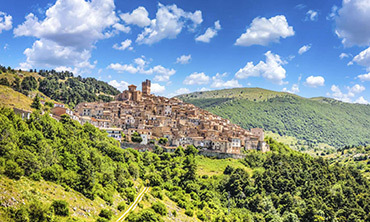 In the end, one of the strong points of the Abruzzo is its food and wine. Here one can indie taste unique disse, such as the arrosticini, accompanied by the best wines. 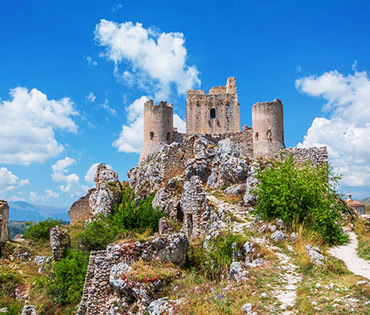 Do not miss the chance to visit and discover the wonders of the Abruzzo: we are sure they all will surprise you! 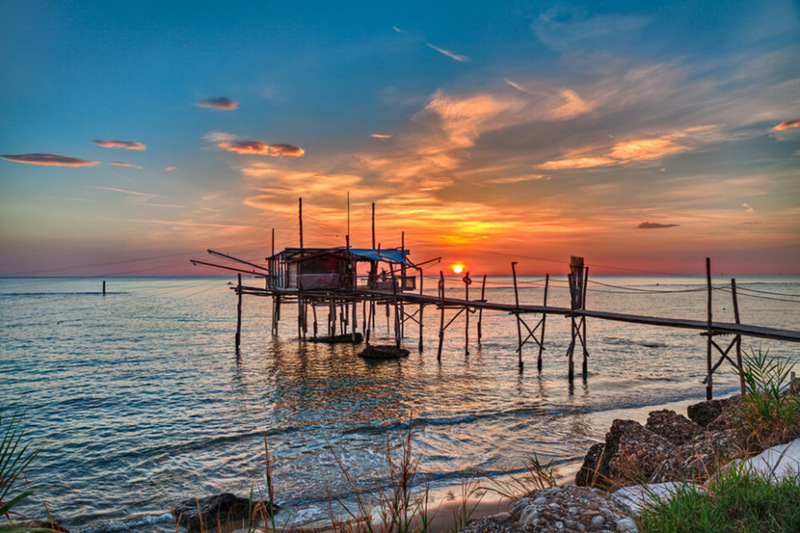 The Abruzzese coast is really rich and various, with stretches in fine golden sand and rocky stretches, charming promenades and wild areas, featured by a Mediterranean scrub. 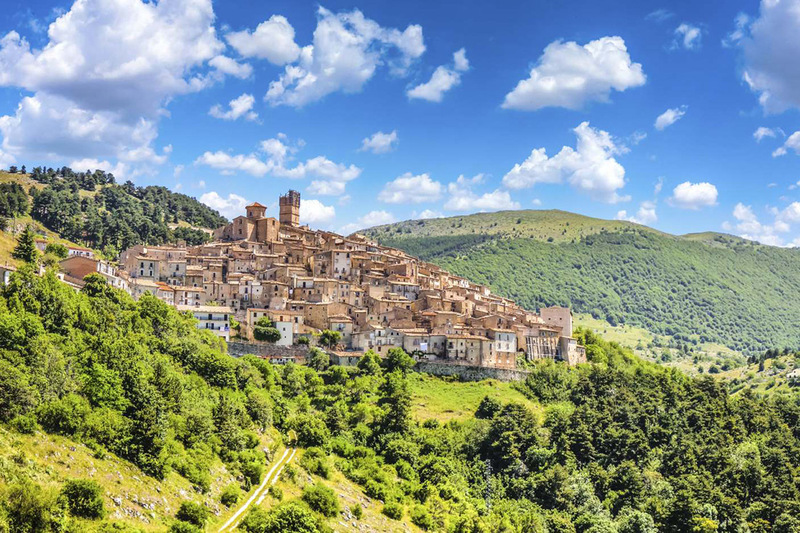 The Province of Teramo: “the 7 sisters". The 50 kilometers of golden sand make the wide and safe beach, with its clear waters, the right frame for a relaxing and funny holiday. 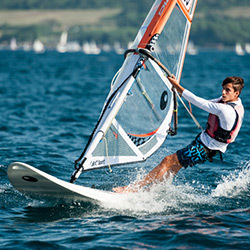 The coast mixes wild stretches and enchanting promenades, where to even find windsurf schools, sailing and canoes, that are suitable both for who loves nature and sport. 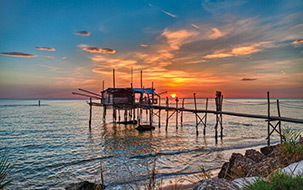 Tortoreto is one of the most appreciated bathing cities along the Abruzzese coast. 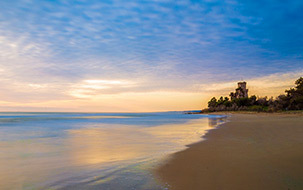 It has golden beaches, low bottoms, clean and safe, and a marvellous village, that overlooks the Clock Tower, the Agostiniano Monastery and the Church of S. Agostino. The city has a lot of attractions, above all in summer, when a rich billboard entertains tourists and who lives here. 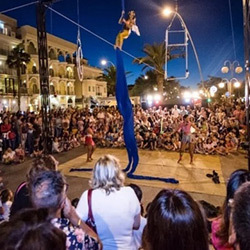 Markets, concerts, hexibitions, food festivals, evening shows, traditions and historical reenactments are just few of the main events held in summer. Among the most known events we remember the Palio del Barone, that is held in August into the village, and remember an event that happened in 1234: games, Medieval tournaments and much more, the whole village plunges into the past. Even the night of the 15th of August is rich of emotions, thanks to the fireworks that close the Holy Procession in the name of the Virgin Mary. Close to the promenade, there is also an AcquaPark, that is suitable for adults and children, and a lot of clubs and pubs where to have fun in the evening. But Tortoreto is also the right place for who just wants to relax! The golden beaches in Tortoreto are the right place for families with children thanks to the low bottom. In summer, Tortoreto is a lively city and in the evening are held a lot of events. Only in few Region such as in Abruzzo it is still possible to experience folklore. 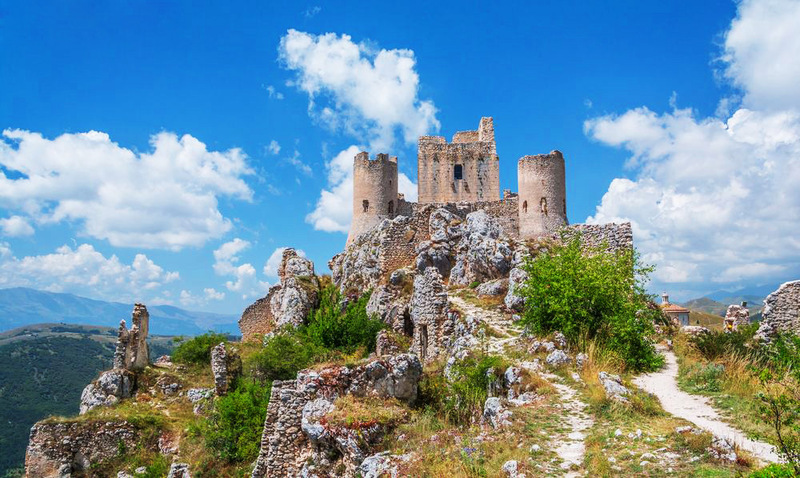 The Abruzzo has a rich heritage of sacred and magic rituals, pagan and Christian festivals, Saints to be celebrated and evils to be exorcised. In Cocullo (L'Aquila), in the name of San Domenico, it is celebrated, the First of May, the "Festa dei Serpari": the statue of the Saint is held in a Holy Procession and it is covered by live snakes and it is attended by a lot of pilgrims. In many villages in Abruzzo it is preserved the tradition to burn on a Christmas stump something that compound the menù, a way to include in the meal even Jesus Christ. The most important Abruzzese event in Christmas time is held in January: we are talking about the living Nativity scene in Rivisondoli. Teramo is indeed interested by a lot of events all year long.